Currently viewing the category: "Criticism"
A lot of really smart, thoughtful people — and a few dummies — have “reviewed” my book “Dogging Steinbeck” on Amazon. Below is what I think is the best of the 60 comments and reviews that have been put on Amazon’s site so far. Whoever wrote it spent a lot of time assessing my book of “True Nonfiction” in a fair and thorough way. He or she chose to be anonymous. But whoever they are, I thank them for their hard, high-quality work — and for not letting my libertarian politics or their own continuing affection for “Travels With Charley” blind them to the quality and value of my book. 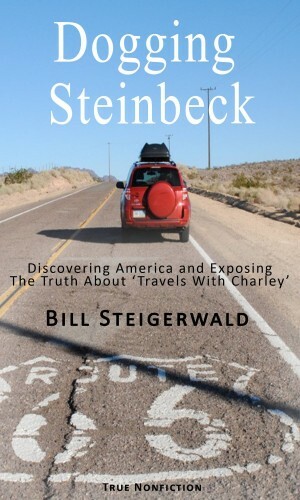 I remember enjoying Travels with Charley many years ago so I was intrigued when I learned of Dogging Steinbeck in which the author, Bill Steigerwald, follows Steinbeck’s famous cross-country route fifty years later. Before reading Dogging Steinbeck, I took the time to read Travels with Charley again immediately before starting Steigerwald’s book.I enjoyed Dogging Steinbeck very much and admire Steigerwald for his efforts in making and recording his own journey. The day by day observations of the seasonal weather, the local characters and conditions he encountered, and the frequent comparisons to Steinbeck’s own journey to rediscover America made interesting reading. It’s soon became apparent, however, that his experiences and extensive Steinbeck research created considerable doubt about the accuracy of Charley. 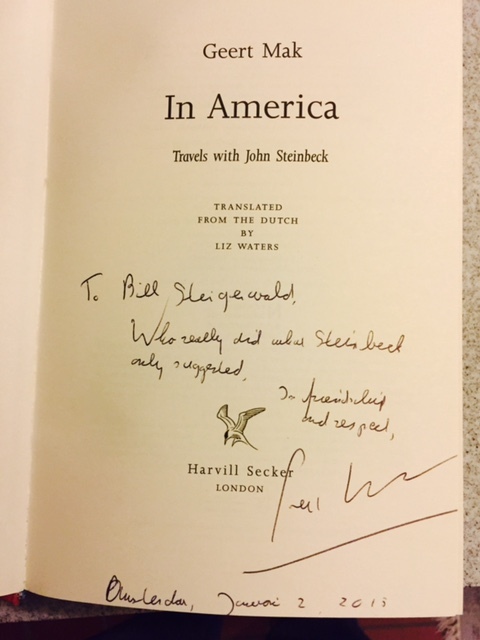 Indeed, Steigerwald offers convincing evidence that Steinbeck’s beloved classic was more a work of fiction than a trip journal.One of the great pleasures in reading Steigerwald’s book was that he found so many friendly and interesting people in his travels. Certainly the mass media does not spend much time reporting about nice people; the weirdos, extremists, uberwealthy, instant celebrities, and truly dangerous are far more likely to be in the news. It was nice to read that the vast majority of average Americans were still pleasant and helpful to a traveling stranger. I was also pleased to be repeatedly reminded of the many ways that our daily lives have immeasurably improved over the past five decades. 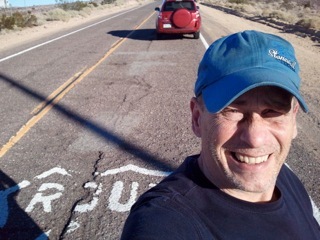 It happens that I grew up in a small town on old Route 66 (which figures in both books) so I have personal knowledge of just how dangerous those highways were 50 years ago. Likewise, our medical technology, communications and self-educational opportunities, and personal comfort today are incomparably superior to that of the past.In comparing his experience with Steinbeck’s, perhaps we should recall that old saying, “Don’t go looking for trouble… for you will surely find it.” Most people, most days go through life in a responsive mode. If we approach them in a friendly and respectful manner, they will respond in kind. Perhaps Steigerwald’s book is like another more famous volume, Henry David Thoreau’s Walden, in that the book also tells us a great deal about the writer. If he encountered many nice people, maybe it is because he expected them to be nice, and that he impressed them as being a nice guy himself. 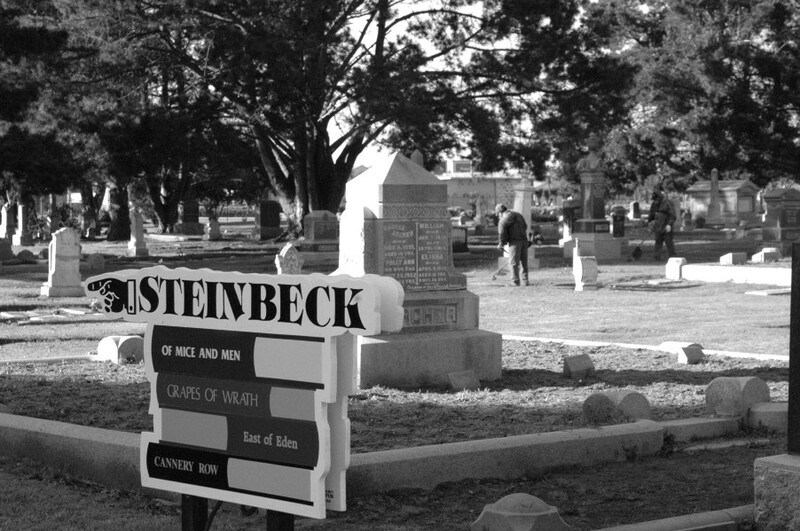 They were in sharp contrast with the many shallow, ungrammatical characters that Steinbeck wrote about in his book. 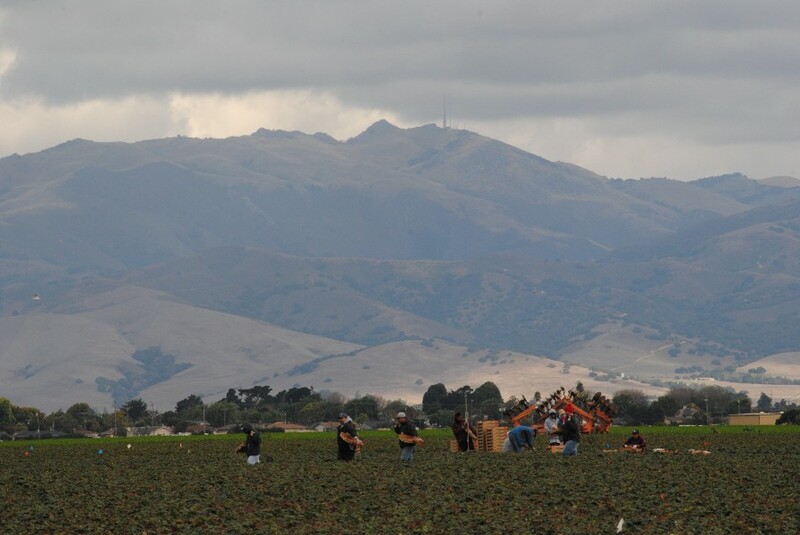 Of the two journeys, Steigerwald probably met more interesting people and had more fun – even if he did not have the resources to indulge in high-end hotels and stay with rich friends along the route as Steinbeck did.I must mention the controversy that the book has apparently created. A significant part of Steigerwald’s book involves the responses from the Steinbeck establishment to his claims of “literary fraud”. 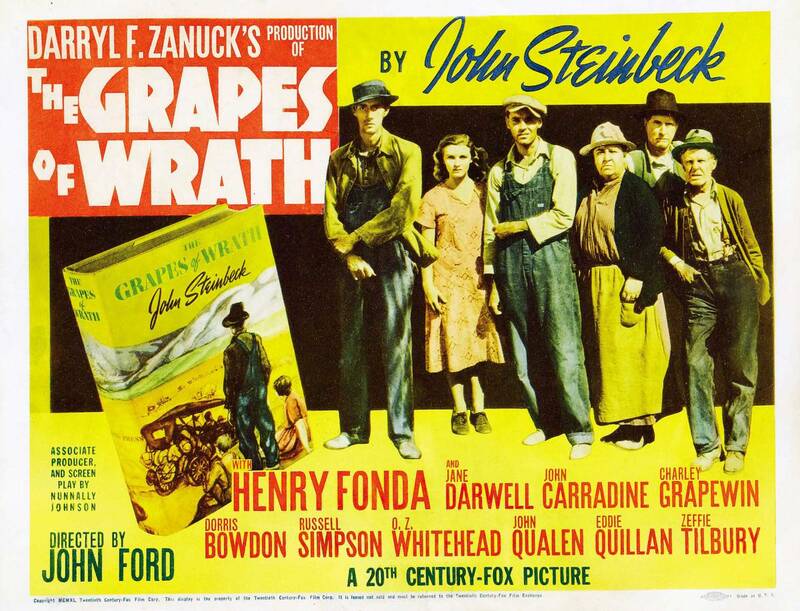 What now seems incontrovertible was that John Steinbeck did wholly manufacture entire episodes and characters. I am willing to accept an explanation of “artistic license”; indeed, I have no problem with that. What I found more disturbing was the revelation that, rather than being a lonely, thoughtful old man taking a meandering, low-budget trip, Steinbeck was not roughing it at all. Steigerwald’s conclusion that he spent only about five nights in his entire journey actually sleeping in his camper greatly diminishes the aura of Steinbeck, the common man. Yet, for all that, I take exception with Steigerwald’s implication that Charley was not a good book. I am now willing to accept that this is more a work of fiction than a travel book but it is still wonderful reading. I had forgotten just how good it is until I read it again. Okay, finding an itinerant Shakespearean actor/vagabond drifting across North Dakota strains credibility now that Steigerwald has brought it to my attention. But, honestly, I don’t care; in Steinbeck’s book, he was an articulate, warm character. If Steinbeck used these literary creations to make his point… well, that is what novelists do – and he did it rather skillfully, I thought. A big part of the writing challenge is in creating a picture that the reader finds believable. A great many contemporary authors are far, far less adroit with such literary devices than Steinbeck. Reading Dogging Steinbeck was a pleasure, a modern journalist’s trip down Memory Lane… even if he did spend many nights sleeping in Wal-mart parking lots. I recommend that readers of this book do as I did, read Charley first for the pleasure of Steinbeck’s superlative narrative. Remembering the details of Steinbeck’s book will then prepare you for the comparable experiences and revelations in Bill Steigerwald’s book. Geert Mak’s Steinbeck book, “In America,” was reviewed in the Spectator magazine by a guy with a great British name, Lewis Jones. 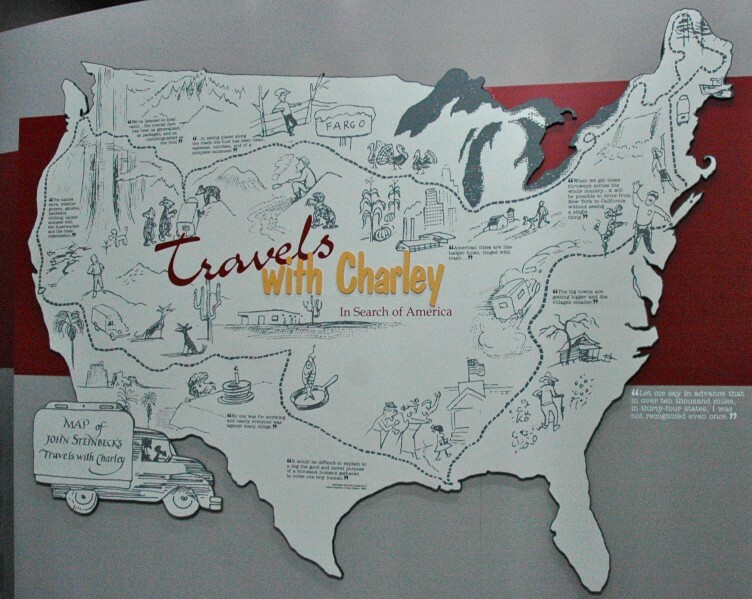 Unfortunately, though Jones manages to give me credit for discovering the literary fraudulence of “Travels With Charley,” he screws up my politics. Jones doesn’t know what a libertarian is, obviously, or he wouldn’t have said that libertarianism is the same as being stridently Republican. Go to the Spectator to read the review, which is of the typical lefty variety. Or just stay here and read my comment, which gave me the opportunity to plug my book to the good people of the UK. 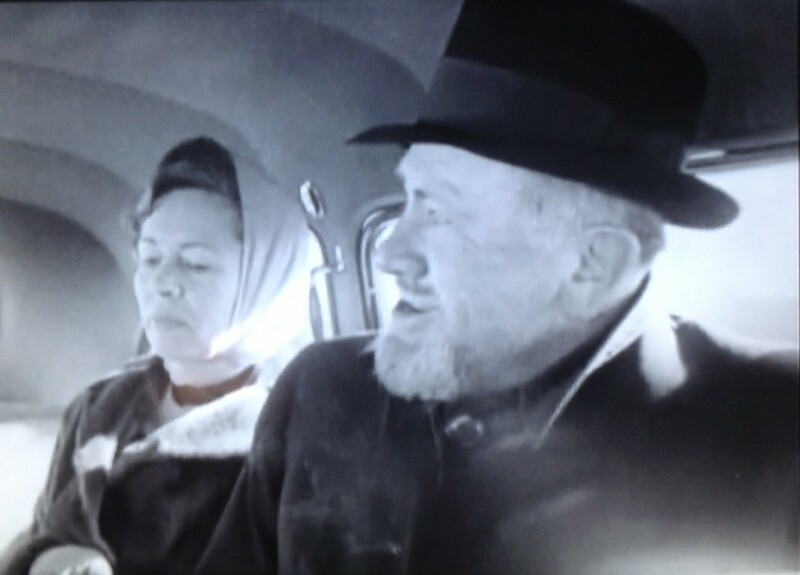 Steinbeck (with wife Elaine) as he really looked a month after completing his “Charley” trip — not as he is pictured in the Spectator. Thanks much to Lewis Jones for mentioning me, my book ‘Dogging Steinbeck’ and my role in exposing the fictions and fibs in Steinbeck’s iconic work of non-nonfiction, ‘Travels With Charley’. 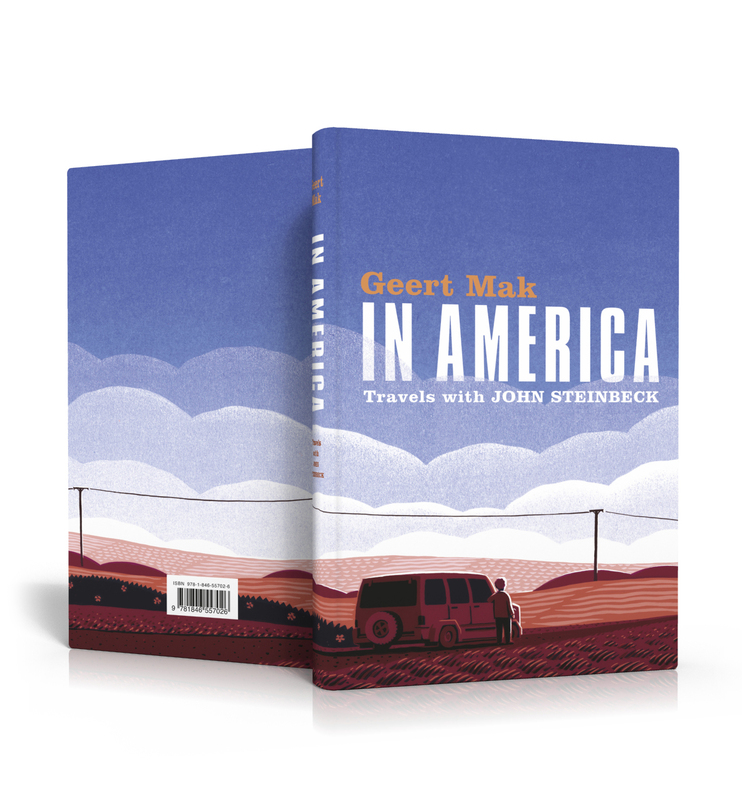 As my new friend Geert Mak knows, for 50 years ‘Travels’ was marketed, reviewed and taught as work of nonfiction — until I came along, did some basic snooping in libraries and on the road, got lucky, proved it was mostly made up and occasionally outright deceptive and declared it a ‘literary fraud’. (Not that I haven’t said it somewhere in a blog or interview, but the phrase ‘a very flawed load of fictional crap and deception’ does not appear in my book, which, while full of jokes, void of footnotes and liberally sprinkled with my libertarian politics, is a serious work of journalism that has changed the way ‘Travels’ will be read forever. Anyone interested in learning more is urged to buy my ‘literary expose’ at Amazon.com.UK or go to www.truthaboutcharley.com). I especially urge Mr. Lewis to read my book — or at least skim it — before jumping to any more conclusions or launching any more of his ‘surmises’ (i.e., wild and uninformed guesses) about my politics, my affection for the Republican Party or my adherence to Fox News’ historical interpretations. Based on his review, I surmise Lewis won’t like my politics. Nor will he appreciate what I say about the political biases and cultural snobbery of liberal New Yorkers like Steinbeck (that’s what he was in 1960) who’ve made it a habit to sneer at the politics, culture and values of the Americans they encounter in Flyover Country when they dare to travel by car between Manhattan and the Hollywood Sign. When Lewis wrote that I take “an ‘openly libertarian’ (i.e. stridently Republican) line against the Democrat Steinbeck” he demonstrated that he has absolutely no idea what a libertarian is. (A primer: it’s someone who favors, stridently, maximum individual freedom, a weak and limited state, a system of free market — not crony — capitalism and a non-interventionist foreign policy; Brits should think John Stuart Mill, Manchester Liberalism, Bright & Cobden, Lord Acton, Hayek, etc.). Libertarians — especially this one — wouldn’t be caught dead being ‘stridently Republican’. And while Fox News does have good libertarians like John Stossel and Andrew Napolitano, its prime-time all-stars — O’Reilly, Kelly and Hannity — are awful conservatives and/or partisan Republicans. The America I found along the Old Steinbeck Highway in 2010 was opposite from the gloomy one my esteemed Euro-socialist colleague Mak found. I described 11,276 miles of it as well as I could, as a veteran newspaper journalist, albeit through libertarian eyes, not socialist ones. Where Mak saw islands of prosperity in a sea of poverty and anguish, I saw the opposite. Where Mak saw the failure of the federal government to make things right in the hinterland and cities, I saw evidence of the federal government’s century-old habit of doing things wrong. Etc. Etc. From a libertarian, not Republican, point of view. Same country, same roads, same time; two people, two very different sets of opinions and conclusions. Steinbeck knew it would work that way and said in ‘Travels’ that the country he found would not be the same one others coming behind him would find 10 minutes later. He wasn’t lying about that, at least. For the record: The missing Washington Post woman was/is Rachel Dry, who wrote a nice piece about her pursuit of Steinbeck’s ghost and her accidental encounter with me. http://www.washingtonpost.com/… And your photo of Steinbeck is not what he looked like in 1960, but more like 20 years earlier. Finally, I stridently apologize to all proper Brits who might be offended by my use of the slang term ‘dogging’ in my title. I had no idea.